As summer returns, are you witnessing increased electricity shortfalls? 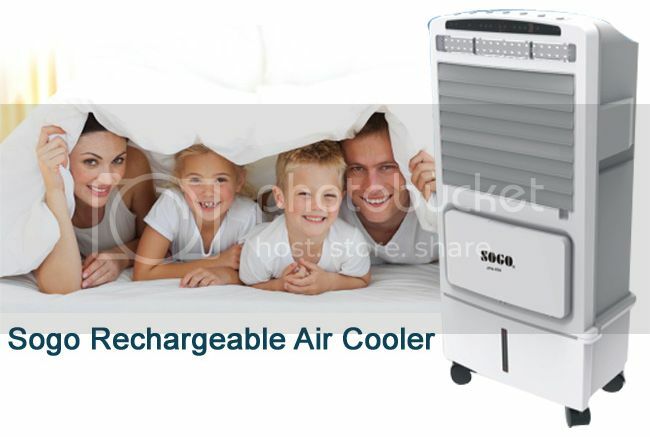 If yes, than you need rechargeable air cooler. With rechargeable air cooler now sleep peacefully during the night and work comfortably during the day without the fear of load shedding. 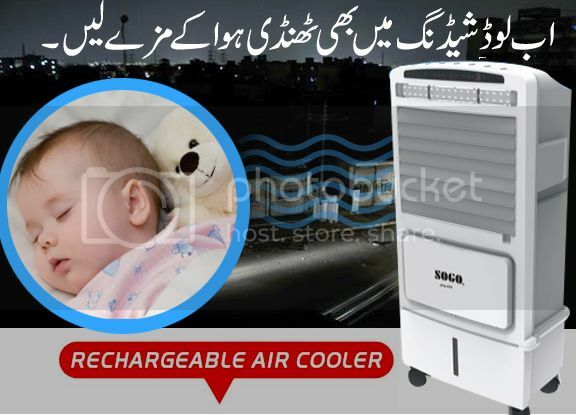 Symbios.pk presents an innovative product that provides you pleasant air even in the absence of electricity. 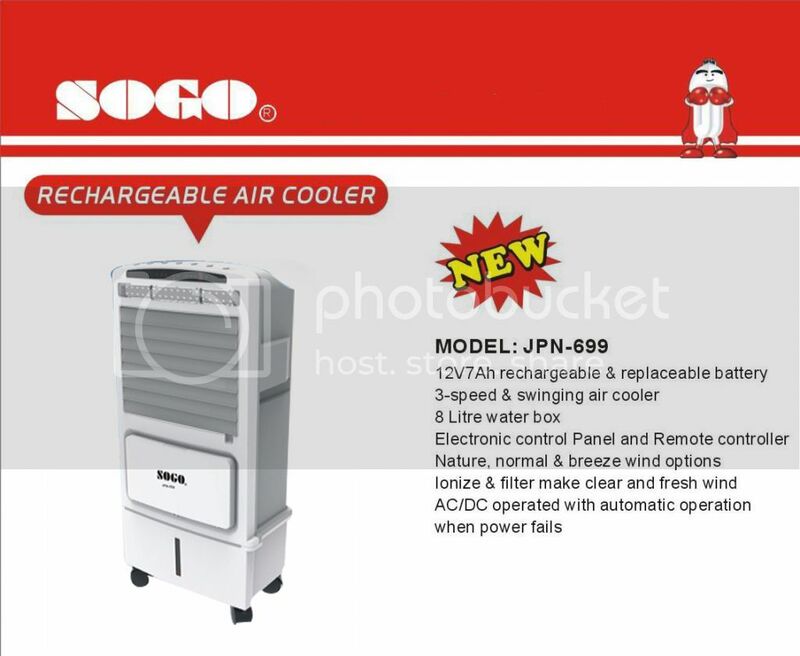 Symbios.pk offers a best Sogo Rechargeable Air Cooler JPN-699 price in Pakistan with fast shipping in all the major cities of Pakistan. Including Karachi, Lahore, Islamabad, Sialkot, Faisalabad, Peshawar, Quetta, Multan, Rawalpindi and many more cities at the lowest price. Digital Control System with LED Display. Fan, Cooler, Air Fresh Ionizer. Remote Control, Two Ice Boxes. 1 to 7 hours timer control. 8L Large Tank for Cooler Air Output. 1. Cool: It will blow out the fresh and cool wind for you. The air temperature can be lower 3-5 degree. Especially in the dry heat area, the effect would be more obvious while using the cooler. 2. Humidity: In a dry area or in a dry season the effect would be more obvious while using the air cooler. It can keep the room in a fit humidity. 3. Wind way: Auto blow, swing from left to right(120). Also it can be changed the wind way up or down by hand. 4. Speed: Not only there are 3 kinds of wind velocity(high, medium,low) but also a nature breeze can be selected. 5. Time: We can set the cooler to stop after 8 hours at most. 6. Moving: The cooler can be moved to somewhere expediently because of the casters. 7. Air purifier: At entryway, there is a filter so it can adsorb scrap garbage in the air such as dust, fiber, hair etc. 8. With soft touch panel display, and remote control can received with 5 meter distance and 120 degree. 9. With ice brick to refrigeration and save the power. 10. Strong and power wind capacity from 3-6meter. 11. With 3speeds wind selector of low, mid and high, nature and sleep wind selector. The ongoing loadshedding and exorbitant tariff of electricity had compelled the citizens to look for an alternative of split air conditioners. Symbios.pk is offering a revolutionary product this summer to stay cool during severe power shedding. IT work with Rechargeable Battery, No Electricity Required. RECHARGEABLE AIR COOLER with excellent performance! STAY COOL ALL THE TIME! !